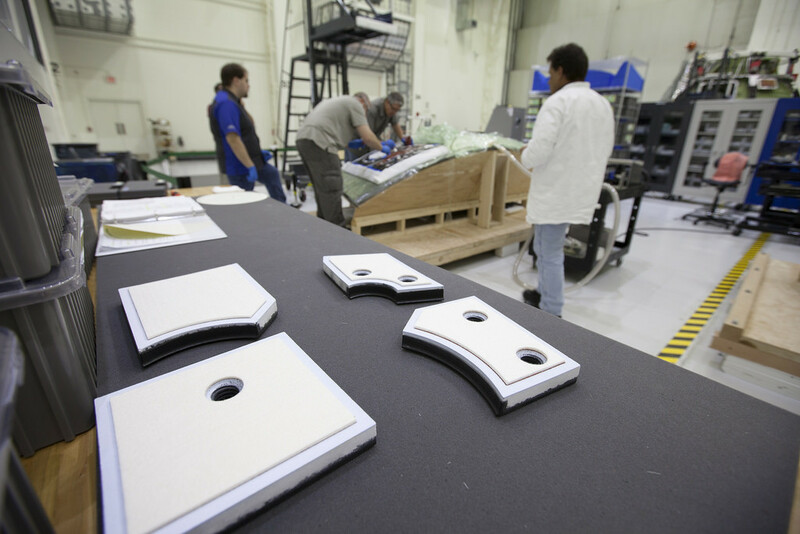 In the photo above, technicians prepare to bond thermal protection system tiles on the Orion crew module for the agency’s first uncrewed flight test with the Space Launch System (SLS) on NASA’s Journey to Mars. The work is taking place inside the Neil Armstrong Operations and Checkout Building at NASA’s Kennedy Space Center in Florida. While similar to those used on the space shuttle, Orion only requires about 1,300 tiles compared to more than 24,000 on the shuttle. The tiles, along with the spacecraft’s heatshield, will protect Orion from the 5,000 degree Fahrenheit heat of re-entry.